Joe Hoft, a contributor to the conservative “news” site The Gateway Pundit and brother of the site’s founder Jim Hoft, published a column today declaring that the United States is in a constitutional crisis that can only be solved if President Trump replaces Attorney General Jeff Sessions. Yesterday, Sessions sent a memo to three Republican leaders in Congress explaining that he would not appoint a second special counsel (in addition to special counsel Robert Mueller) to lead a separate investigation looking into Republicans’ accusations that widespread corruption exists within the FBI. Although Sessions declined to appoint a new special counsel, he did reveal that U.S. Attorney John Huber will be examining those claims of FBI misconduct. The US is now in a constitutional crisis. Yesterday Attorney General Sessions announced that he was refusing to set up a special investigation into FBI and DOJ wrongdoing even though the evidence of corruption, illegalities and cover ups of Obama and Clinton scandals is rampant. A year ago Sessions had no problem with the creation of an unconstitutional investigation into President Trump when no crimes were committed. Mueller’s illegal Trump-Russia investigation moves on while investigations into obvious corruption and criminal activities in Obama’s FBI, DOJ and State Department are ignored. We asked in October what does the deep state have on AG Sessions causing him to ignore the constitution and his duty to serve the American people? It’s now clear that Sessions must go and a new team be brought in to clean up the FBI, DOJ and other deep state led government departments. There’s a lot of speculation from some Americans and Trump supporters who believe that AG Sessions is behind the scenes working on cleaning the swamp, but this is all speculation. Little if any evidence supports these hopes. We must look at the facts. Sessions recused himself from the Russia investigation. Rosenstein was somehow recommended and hired as Assistant AG. With a background of multiple conflicts of interest related to Uranium One and having signed off on at least one FISA warrant to spy on candidate and future President Trump, Rosenstein never should have been appointed. In spite of his conflicts, Rosenstein hired Mueller to investigate President Trump and continues in his oversight role. Sessions’, Rosenstein’s and Mueller’s actions are unethical, illegal and unconstitutional. We are currently in a constitutional crisis. AG Sessions will not uphold the law. He must be replaced with an aggressive, competent and fair AG who will uphold the constitution. This is something we haven’t had in at least a decade. Only President Trump can save America. 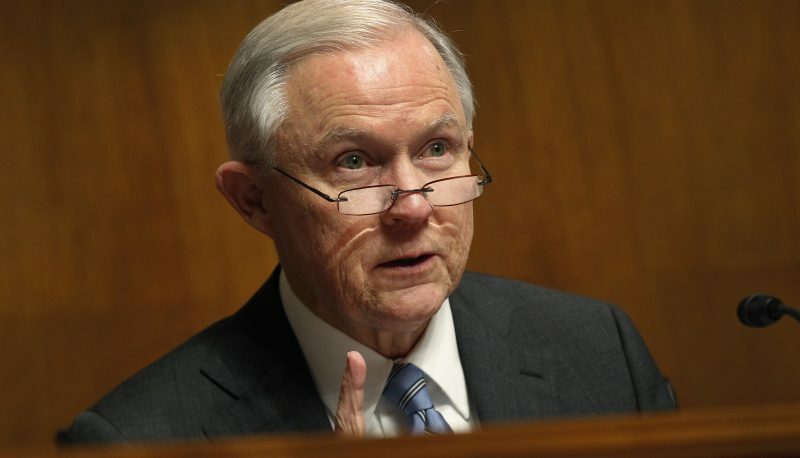 Only President Trump can replace AG Sessions and now it’s time.